You can’t talk about PCOS without talking about blood sugars. Polycystic ovarian syndrome is a complex hormonal, metabolic and reproductive disorder that affects up to 15% of women. One of the core issues that women with PCOS face is insulin resistance. In order to reverse your symptoms, you need to have balanced hormones. The hormone insulin plays a major role in that. High insulin levels lead to higher levels of androgens or male hormones. Higher levels of the androgen testosterone can impact fertility, weight, skin issues like acne, and cause excess hair growth as well as hair loss. To help restore hormonal balance you want to stabilize your blood sugars levels. The good news is that there are a variety of ways in which you can lower your blood sugar naturally. Here are 10 easy things that you can start implementing into your daily routine. There definitely are foods to avoid with PCOS. No one wants to hear this one but cutting certain carbs can have a great impact. Notice I highlighted the word certain. You don’t have to cut out everything, that would be unhealthy. The body needs some carbs in order to function properly. What type of carbs are we talking about? Think of ones that don’t offer a lot of nutritional value, ones that are empty calories. The type that are heavily processed and refined. 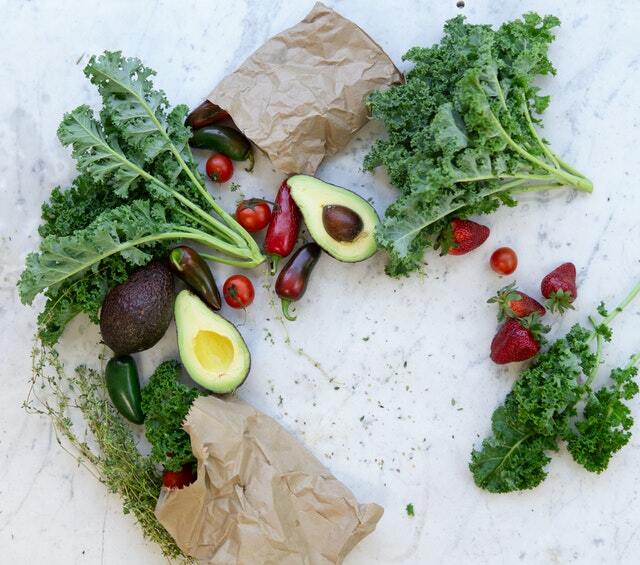 Want to know the worst foods for PCOS? Here are the 5 foods that you need to cut if you are insulin resistant. When you do eat carbs, be smart about it. Choose one that are from real foods like sweet potatoes and brown rice. These are referred to as complex carbs. Also, watch your portion sizes. This will have a significant impact when do eat them. 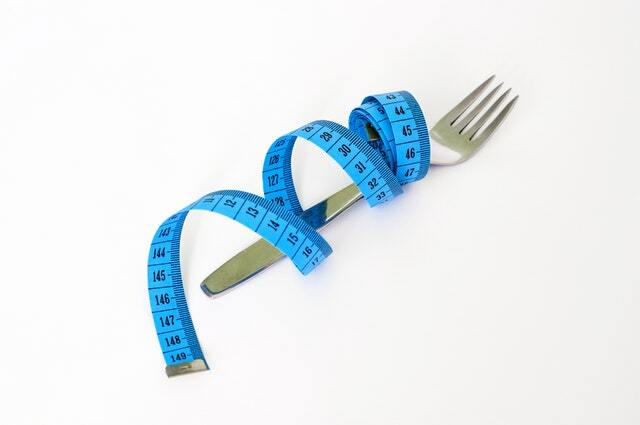 Want to reverse insulin resistance? Sign up with your email address to receive tips, tricks, and articles to you conquer your PCOS! Nuts are phenomenal for your health. They are high in protein and most are low in carbs. Nuts are digested slowly so they won’t cause insulin spikes. They are a great snack to have on hand. They are extremely portable which makes life a little easier. *Be careful with cashews, they are fairly high in carbs. Peanuts are an okay choice but they are known to cause inflammation in the body so you might not want to eat them too frequently. 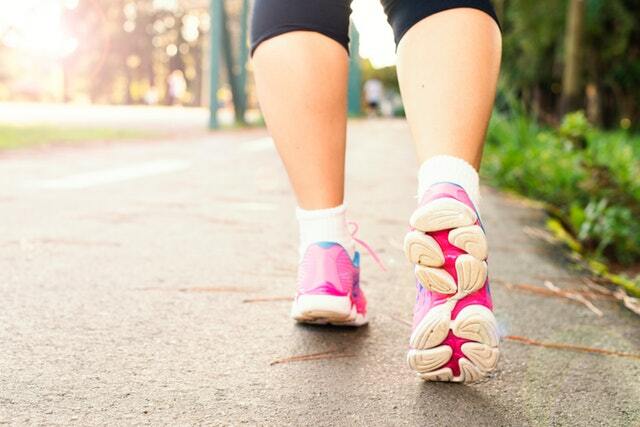 Walking is one of the best forms of exercises you can do to help lower blood sugar levels. The great thing about walking is you can do it anywhere, anytime and it is free. It is very effective for women who struggle with insulin resistance and weight. Plus, walking helps to lower blood pressure and relieve stress levels. Most doctors will recommend that you walk for about 30 minutes per day five times a week. The critical thing is to keep your heart rate up for that time. If you are insulin resistant not only is exercising essential but the timing of when you exercise is key to managing insulin resistance. Sounds like such a simple concept, but how many people actually follow it? Portion out your meals and stick to it. Going back for seconds adds more calories and carbs. Not sure how to portion correctly? Then invest in a kitchen scale like this one. They are easy to use and super affordable and they leave the guessing out. I use mine all the time. It has been a lifesaver especially when I was just starting out and learning about proper portion sizes. Most people have no idea how much damage they are doing by going back for second helpings. This can completely derail your blood sugar levels and weight loss efforts. A lot of people think that juice is healthy and a smart choice. This couldn’t be further from the truth! Companies market juice as being healthy and worse of all they market it as being beneficial for young kids. But would you feed your kids spoons full of sugar?? That is essentially what juice is. The reality is that fruit juice has just as much sugar and carbs as soda. GASP!! And we all know how bad soda is for our bodies and health. If you want to be able to control your blood sugar levels, you need to kiss the juices good-bye. Looking for alternatives to juice? Try some of these replacements that won’t spike your blood sugar. Seltzer is one of my favorites. It has zero calories and no sugar. You get a hint of flavor without sabotaging your health. A cup of tea is another winner. You can add some lemon or stevia to sweeten it if you don’t like the taste of it straight-up. Water infused with fruit or herbs is another fantastic choice. Try a mixture of cucumber and mint or some fresh berries like raspberries. Before you know it, you will have kicked your bad habit to the curb! Do you know how to read a food label? Deciphering it isn’t as easy as you think. You need to understand the whole picture of a healthy diet to understand how foods impact your health. When reading a nutrition label, individuals with insulin resistance, prediabetes, or diabetes need to focus on the serving size, the amount of carbohydrates, and the amount of fiber. Carbohydrates are what turns into sugar and makes your blood sugar levels rise. While on the other hand, fiber does not affect your blood sugar levels and help you to feel full. To bring it all together, you need to understand what a serving size is so you can determine how many carbs you have consumed and how that will affect your blood sugar levels. Be careful to make note of the servings before you start munching away, a lot of times the servings will be deceptive. Cereal is a good example of this. A common serving size for cereal is ¾ cup. Go ahead and measure this out. You will probably laugh at how pathetic it is and let me tell you ¾ c will not fill you up. This is not usually how much people eat. If you aren’t paying attention you could be devouring a lot more carbs then you intend to. In my previous point, I mentioned fiber and that it does not affect your blood sugar levels. Fiber is a form of carbohydrate, but it is a good one. It passes through the body without being digested. Fiber offers a host of benefits including preventing constipation by keeping bowel movements regular and providing you with a feeling of fullness which stops you from overindulging. To determine how much of the food will be converted into sugar and effect your blood sugar levels, you can subtract the amount of fiber from the number of carbs. This calculation refers to net carbs. New to carb counting? Here is a great article about carb counting if you want to learn exactly how to do it. But don’t be fooled. Just because something is considered high-fiber doesn’t mean it is “good for you”. Products can contain a high number of fiber and still contain a large number of carbs. Cereal is a prime example. Yes, the order in how you eat plays a role in how quickly your body will break down the carbs into sugar. If you can, in some instances it won’t really apply or work out, eat your proteins, fats, and non-starchy vegetables first. This study found that saving your carbs for last helps with blood sugar spikes. The results found that people who consumed their carbs last had blood glucose levels that were about half as high compared to if they ate carbs first and about 40% lower than when they ate all meal components together. That is pretty significant findings! Intermittent fasting is when your body is allowed to rest for a certain period of time. You do not eat or drink anything (besides water). There are different variations of intermittent fasting. The most common type involves fasting while you sleep. The body can repair itself during rest and sleep. Just as we weren’t built to go 24/7, either is our body. Rest is vital for optimal health. Allowing the pancreas to rest helps insulin receptors heal. The pancreas is responsible for pumping out insulin. If you constantly eat high-carb foods and sugars, the pancreas will eventually wear out and won’t be able to produce enough insulin. That’s when the trouble begins, and you will become diabetic. To avoid wearing out your pancreas and increasing your insulin resistance it is wise to do intermittent fasting. Everyone can benefit from intermittent fasting, but it is especially beneficial for women with PCOS and insulin resistance. If you are interested in learning more the benefits for PCOS and how to do intermittent fasting check out my article on intermittent fasting for PCOS. Last but certainly not least. There are natural supplements that can improve insulin sensitivity. One of the top supplements for women who have insulin resistance with PCOS is Ovasitol. Inositol is a fabulous supplement for women with PCOS. It can help with PCOS insulin resistance symptoms and improve ovulatory function, promote regular menstrual cycles, and normal hormone levels. Ovasitol has been a game changer for me! It has helped with cravings, energy, it keeps my cycle like clockwork, and it helps keep my skin looking clear and radiant. To find out more about this supplement, read my review of Ovasitol for PCOS and get all of your questions answered. Want some other options to compare? Check out this detailed post about some supplements that are natural alternatives to metformin and how they stack up based on research findings. Want to manage your PCOS and insulin resistance? Get the PCOS Patient Advocacy Guide! This guide will teach you how to be an educated advocate for yourself and health. This valuable information will alleviate your stress and anxiety around doctors visits and help you get the right treatment based on your specific symptoms and values.